"My son loved this! He's new to coding but it was easy to figure out." "I'm a third grade teacher, and was looking for some resources to introduce STEM to my students. Coding is such a fun activity that keeps my students challenged and interested.... The product makes it accessible to kids at all levels..... It's easy enough for kids to learn the general foundation of coding, and challenging enough for kids that are ready for the next level, and be creative. I highly recommend this. This is a great stepping stone to other challenging coding resources." "My 12 yr old grandson got this for his birthday and absolutely loved it! Educational and fun!" "Very fun and interactive activity for kids!" "This kit reminds me of watching my dad work on computer boards, he was an electrical engineer, and he taught me a few computer programming skills back in the day. I think that this product is more useful for my boys than learning about putting blocks together like in Tynker or another program like that. They have found more enjoyment using the kits for the last few weeks than they have for the last 4 months of using other coding programs." My 16 year old niece and my 9 year old daughter both had fun learning how to code together. They had to problem solve and double check their own work. Perfect coding kit for kids! 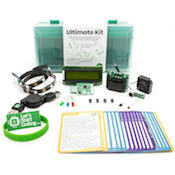 "This kit is amazing, my son is 12 years old and he has always had an interest on building computers and programing. He had so much fun learning and putting this together. I would recommend to anyone that has a child who’s interested in computer programing." "Simple to set up and use out of the box. My son has had a lot of fun making various interactive projects of his own design. To continue to keep him interested and occupied there are hours of lessons and projects provided by Let's Start Coding. He had some prior coding experience using the MIT Scratch's 'block' approach and for me this kit was a natural progression on from that. I'm having fun with it too!" 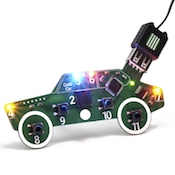 "I purchased this for my 10-year-old son to explore his interest in coding. From the first time he opened it he was hooked, and it was amazing the speed at which he developed new skills. We have since purchased the expanded set as his skills have grown. 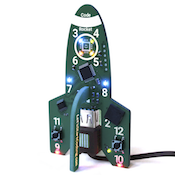 This kit is a great way to let kids learn base coding in small steps that allow them to learn on their own seeing their progress." "My child absolutely LOVES this product! He has learned so much and loves to add additional lines of codes to the learning modules to expand his knowledge via trial and error." "Extremely creative and educational for the kids!!!"